South Indian Bank has just announced the written exam result of Probationary Officers 2018. The South Indian Bank PO Written Exam was held on 3rd July 2018. In the recent development, South Indian Bank Result is out now. A total of 100 vacancies are at stake & the selected candidates will now have to appear for GD/Interview. 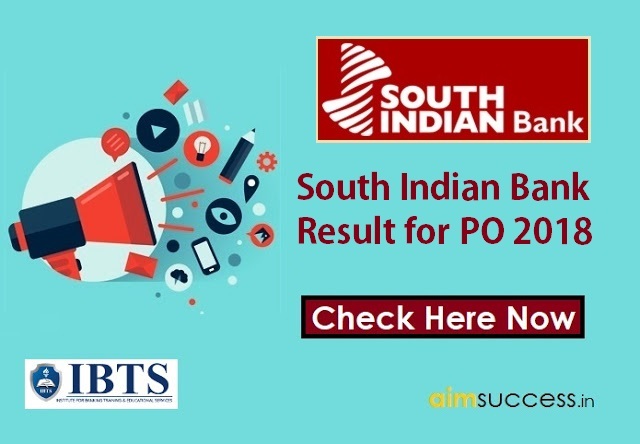 You can check your South Indian Bank Result for PO 2018 from the direct link further given in the article. Select the state you have applied for. Put your Date of Birth. Alternatively, you can also go to the official website of South Indian Bank. Click on ‘Online Test Result’.